New! 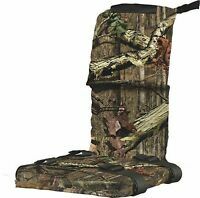 Primos Double Bull SurroundView Stake Out Ground Blind 59"x37"
Item is as advertised I was able to fit two chairs two shotguns two backpacks and still have enough comfortable room inside the blind. 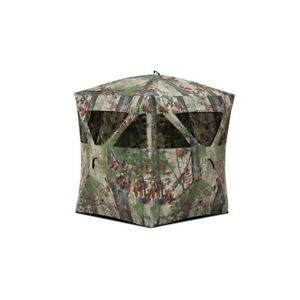 The blind is easy to set up in about five minutes. The 9 window are a little hard to open if in a rush so I left them open with just the mesh covering. The rear peep hole is nice but a little loud. 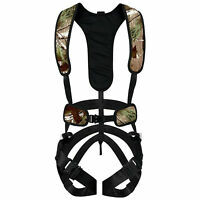 The full top to bottom zippering is loud dont recommended opening with anything your hunting near. blind also blends in nicely with the California oak tree backgrounds. Stakes look weak so did not use. Good quality good material and easy to carry in backpack style pouch.